Are you in the Halloween mood for pancreatic tissue, liver cells and stomach lining in a hearty broth? 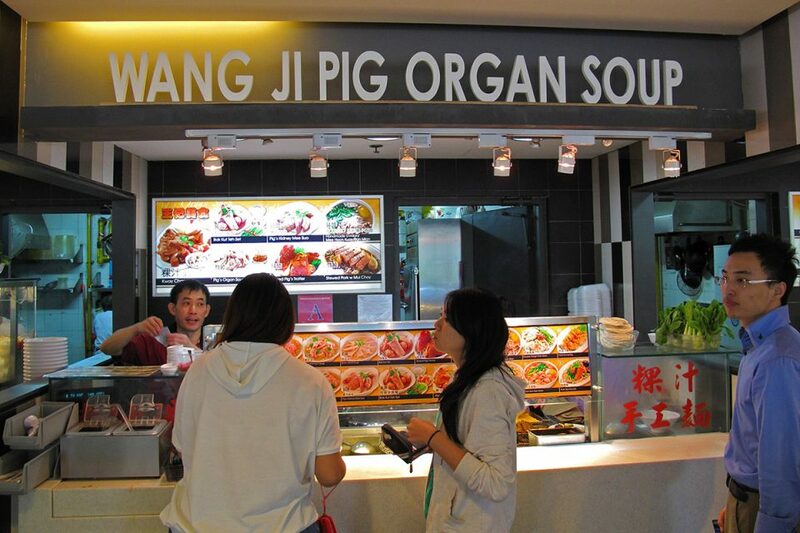 If the answer is yes, you will feel right at home in Singapore where locals seem to dig exotic pig organ soup. But not to worry. Even culinary wimps who don’t want to venture too far into unknown kitchen territory can skip the tricks and find a treat that can soothe their Western palates. From Asian-style barbequed chicken wings and fiery sambal stingrays to Indian masala dosas and German sauerkraut and sausages, there’s nothing you cannot find in Singapore. Food is everywhere. While some dishes here are similar to those we found in Penang and Kuala Lumpur, others are distinctly different. It is obvious that Singapore’s chefs are quite experimental, many using unusual ingredients and spices to create fantastic fusion cuisine. Thomas claims he was trying to get into the new Abercrombie & Fitch on Orchard Road. Hmmmmm! He explains that it had something to do with a mistranslation of the German word “Hosenladen”!?!?! But seriously, this rather risqué three-story ad highlights just how far we’ve come from neighboring Malaysia where, while reading National Geographic magazine, we discovered morality censors had hand-neutered Michael Angelo’s David with a black marker. What a difference a little border makes! 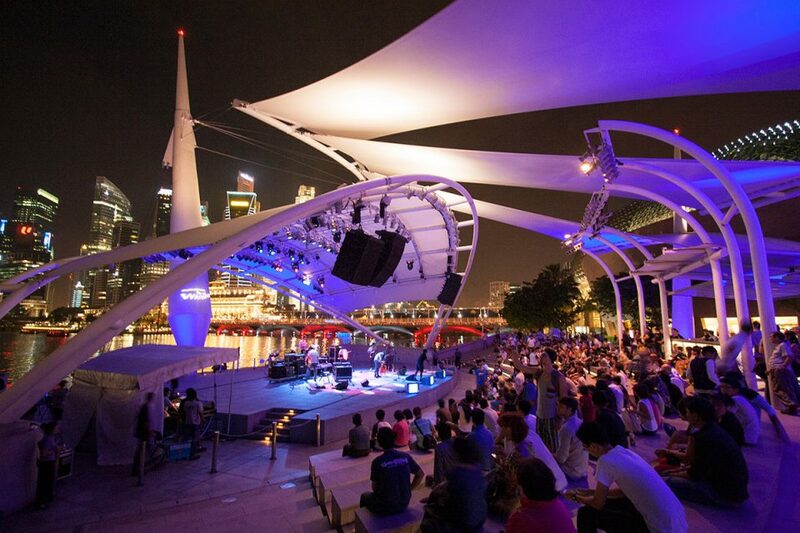 For those with money, Singapore feels like an unending list of awesome things to do. 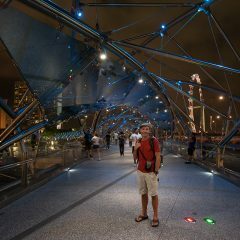 Stroll along the Marina Bay Sands’ unbelievable SkyPark balanced across the tops of three adjacent skyscrapers. 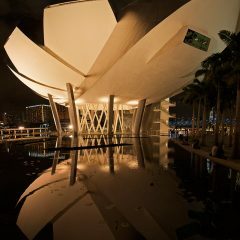 Take in the exhibition of Salvador Dali’s works at the ArtScience Museum. Or better yet, Van Gogh’s. 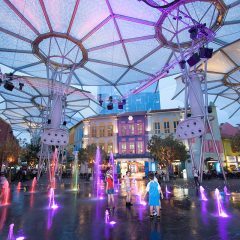 Try the G-MAX Reverse Bungee or the GX-5 Xtreme swing at Clark Quay. Spot nocturnal animals in the Night Safari Park. Or, if you have an extra hour on your hands, learn to pilot a commercial airliner at the very unique Flight Experience. 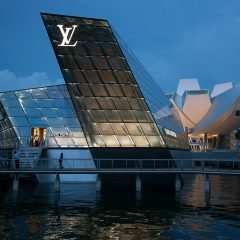 For those with bucks to burn, Singapore is the ultimate playground. But what about us budgeteers? 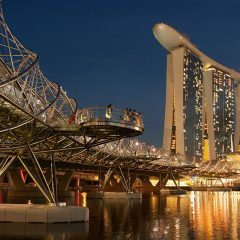 We’ve been walking Singapore for days and, without a doubt, our favorite area is the city’s phenomenal, fully revamped waterfront. When I first visited 20 years ago, there was very little in the way of tourist attractions along the water. But after two solid decades of work, the new waterfront steals the show. Check it out for yourself in our mini-gallery above. 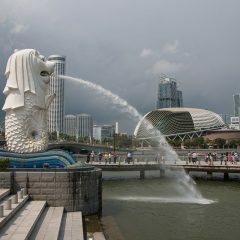 One of Singapore’s main attractions, which has little to do with shopping, is its world-famous zoo. 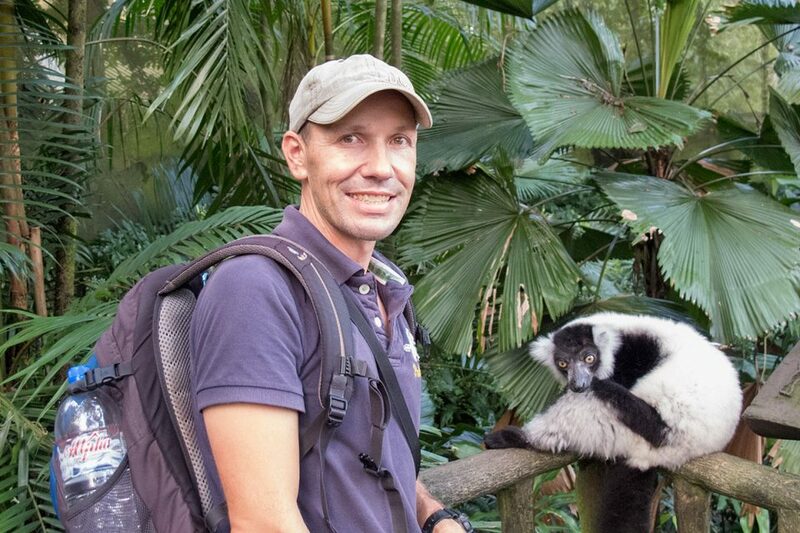 A far cry from many of the depressing animal parks around the world, the Singapore Zoo, renowned for its design, is a welcome change of scenery. It certainly didn’t take much to lure us wildlife freaks away from the cement jungle for a day at the celebrated park. Singapore is all about glitz and glam. Brand names at big prices are worshiped by a population of stylistas who wear their paychecks on their sleeves – literally. This little island city-state can hold its own with Tokyo, New York, Paris, L.A., London and Dubai if not trump these style capitals. Speaking of “trump”, is that the Donald sitting over there in that little coffee house? Apparently, deities need their coffee as well. But don’t expect any cheap house blends on those Chinese temple altars. 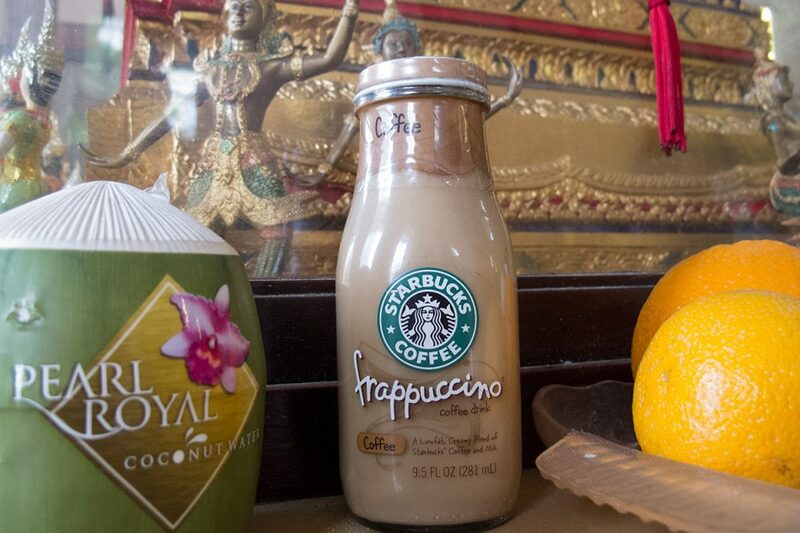 It appears that someone has been trying to get in good with the gods by offering up some Frappuccino. Hmmm, I wonder if this is some new form of Asian product placement. 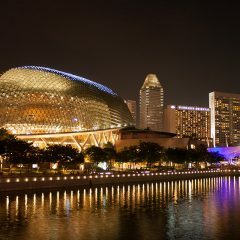 Singapore with its super-modern city center is the ultimate consumer paradise. 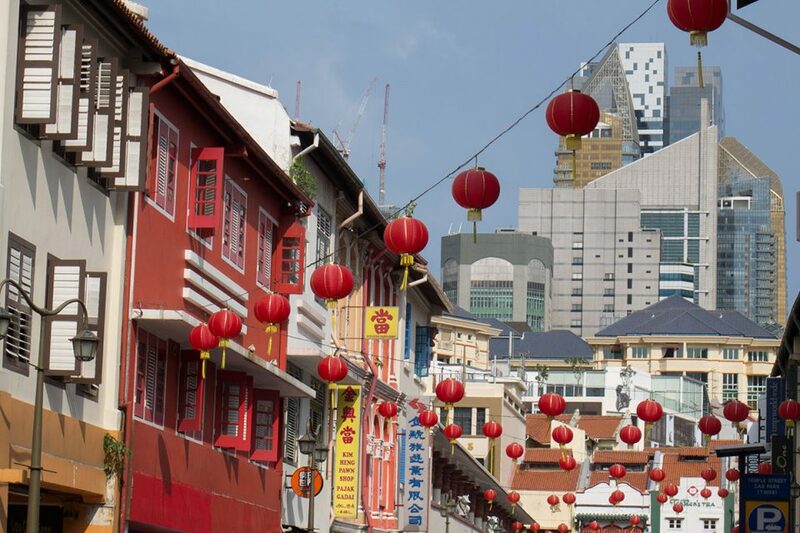 But if monochromatic designer malls made of steel and glass are not your scene, you can always venture into the colorful ethnic neighborhoods of Chinatown and Little India. We’ve decided to take a short break from the developing world and take in modern, spotless, stunning Singapore. The last time I was in Singapore was exactly 20 years ago and, to be honest, I wasn’t a huge fan of the country at the time. 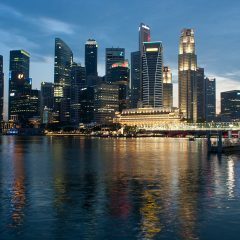 In 1991, I felt Singapore’s autocratic leadership left the city feeling like a coldly functional dystopia defined by clinical sterility and bizarre signs stating things like, “It is prohibited to urinate out the window.” OK.
David, a Malaysian travel blogger who runs Malaysia Asia, recently dropped us a line. “Are you guys passing through Kuala Lumpur anytime soon? Would love to meet up.” What a coincidence, we thought. So we gave him a call and the three of us got together for satay and drinks at the colorful night market on Jalan Alor in Kuala Lumpur’s Golden Triangle. Although we had never met, we knew each other’s travel blogs. 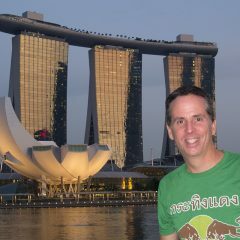 David’s extensive website covers most of Southeast Asia with a specific focus on Malaysia – thus the name of his site. 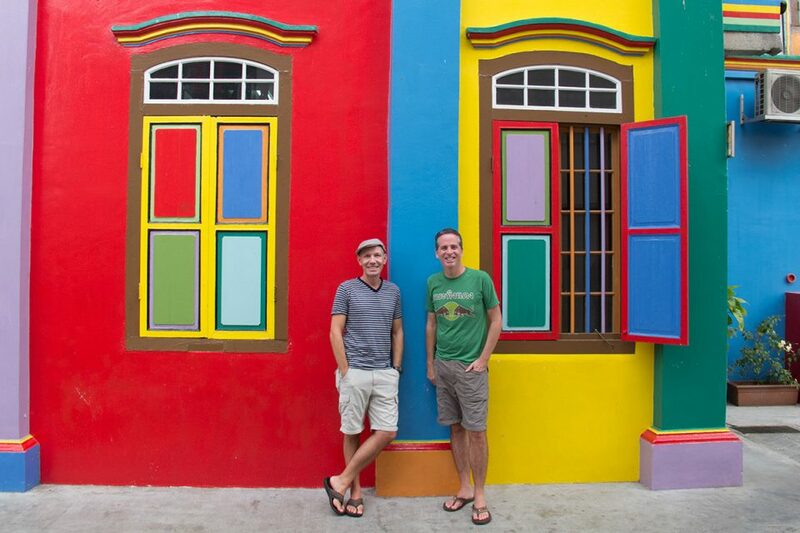 From food explorations in Thailand, budget airlines in Southeast Asia and hotel recommendations in Singapore to upcoming concerts in Kuala Lumpur, caving in Southern Thailand and freebies in Malaysia’s capital, David talks about everything travelers might want. In addition to having a wide range of very different topics, he also features great photography and videos on his site. Not only is David a really cool guy, he seems to know what he is doing. 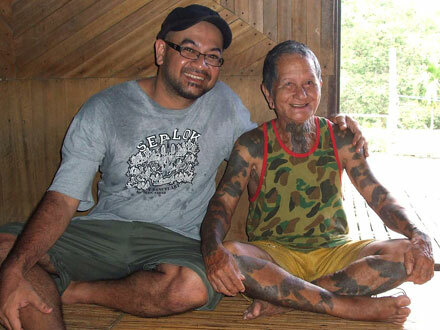 His travel expertise has even been recognized by the Malaysian government who asked him to work on the Malaysia Truly Asia commercial series which promotes tourism to Malaysia. That’s quite an accomplishment! (I’m still waiting for Germany to recognize my brilliance as videographer). It was fantastic to actually meet the guy whose blog we have enjoyed over the years. We talked mostly about – well – the travel blogging industry, but also exchanged quirky travel tales and discussed our personal lives. After all, travel blogging shouldn’t just be about business, but about traveling. And David understands that quite well. One of the key fears that most people express about our living on the road is what they perceive as a lack of quality healthcare. While that can often be an issue in more remote locations, Asia offers up several interesting options for those looking for a good doctor. In fact, several Asian nations including Thailand, the Philippines, Malaysia and India are making a name for themselves in the field of medical tourism offering up good quality, good value hospitals and dental facilities.